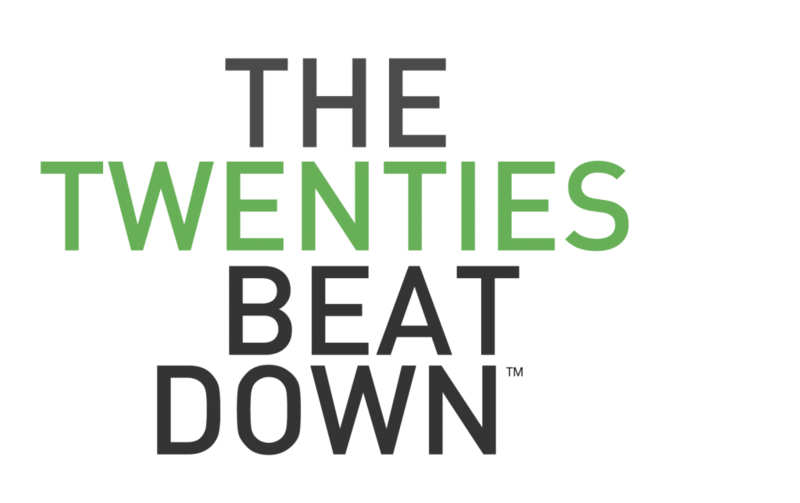 The Twenties BeatDown® is a phrase I coined in 2004 as a humorous way to describe some of the harder realities of life that many twentysomethings experience. Crudely put, The Twenties BeatDown is a time, usually after college, when someone gets the “beat down” from life. It’s a period of life when you feel stuck or lost in making the transition to adulthood and are often not sure why. It doesn’t always lend itself well to definition, but it usually comes in the form of some circumstances in any area of life (professionally, personally, financially, etc.) which is not working out the way that you expected, resulting in questioning and self-doubt. The uncertainty or pressure can evoke confusion, frustration, anger, anxiety, or even depression. Common manifestations include wondering if you’re not meeting your potential, questioning if you’re on the right path, trying to figure out your purpose in life, or who you are. Alternatively, it could be the foreboding sense one gets when facing major life-decisions about the future. The BeatDown can be a period of personal disillusionment and detachment which can make one feel lonely or isolated because you are facing challenges that you believe are unique only to you. You might think everyone else is happier, more confident, or ‘has it more figured out’ than you—and social media does nothing but exacerbate this effect. I started writing this book back in late 2004 and after some time stepped away from the project entirely. Only recently have I decided to complete the book in order to help out some twentysomethings. By no means am I the first to discover this phenomenon; it’s been identified long before by many other names decades ago. However, since I initially began this project, I’ve formally studied human development and the transition from adolescence to adulthood from a number of perspectives. Additionally, my work is also informed by the hundreds more twentysomethings I’ve mentored, coached, interviewed or observed in the last nine years. And of course, I have more personal experience from which to draw. This book will demonstrate that you are not alone (as a twentysomething) and attempt to answer the timely question as to why this is happening now. Much has changed in society and people are not developing like they did in the past, and there are some reasons for this. Through stories and concepts I will share my findings from my last nine years of research and study and provide some practical tools that have been able to help many of the people I’ve mentored over the years. Contact me here to share your story. Drew, so proud of your for putting your heart and mind into completing this book. I know from experience what the twenty beat down is all about, and I know some other young folks have and are going through it now.